Dorne is the large peninsula which makes up the southernmost part of Westeros, and while the Targaryen Kings might claim it as one of the constituent regions of the Seven Kingdoms, the Dornishmen disagree whole-heartedly. The lords of the ruling House Nymeros Martell style themselves "Prince" and "Princess" in the Rhoynish fashion. Blackmont: Blackmont is the seat of House Blackmont. It is near the confluence of two rivers which form the Torentine, north of High Hermitage and Starfall in the western Red Mountains. The Boneway or Stone Way: A major pass that runs through the Red Mountains, connecting Dorne and the Stormlands. The name is a colloquial name, with the Stone Way being its official name. Ghaston Grey: A small bleak island in the Sea of Dorne. Its crumbling, old castle has been used by the Martells as a prison for the vilest of criminals and traitors, who are sent there to waste away. It is considered a horrible place to be sent. Godsgrace: The seat of House Allyrion. It lies near the junction between the Vaith, the Scourge, and the Greenblood rivers. Hellholt: A castle and the seat of House Uller in southern Dorne. It is located near the source of the river Brimstone, east of Sandstone and west of Vaith. The Hellholt is a grim, stinking castle. Kingsgrave: The seat of House Manwoody in Dorne is located in the Red Mountains approximately halfway through the Prince's Pass, north of Skyreach and south of the Prince's Tower. Lemonwood: Lemonwood is the seat of House Dalt it lies just south of the mouth of the Greenblood, near Planky Town. Planky Town: A trading town that lies at the mouth of the Greenblood in Dorne, near Lemonwood. It has a harbor that sees trading vessels. The orphans of the Greenblood trade with merchants from across the narrow sea at the Planky Town. Princes Pass or Wide Way: One of the principal overland routes from the Reach and the Stormlands to Dorne. Red Mountains: A mountain range extending over much of southern Westeros. The range divides Dorne in the south from the Stormlands and the Reach to the north. It is also known as the Dornish Marches for it is an area that suffers the most from Dornish raids and attacks. Saltshore: The seat of House Gargalen. It lies on the southern coast along the Summer Sea. Sandstone: The seat of House Qorgyle. It lies west of the Hellholt and the Brimstone in the western desert of Dorne. 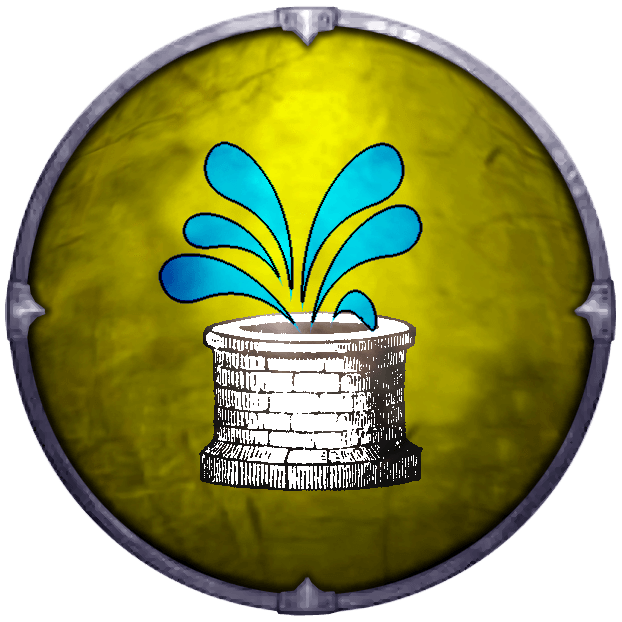 The Andals who founded House Qorgyle built Sandstone when they fortified the only well around for fifty leagues in the deep dunes of Dorne. Starfall: The ancestral seat of House Dayne is located in the western Red Mountains on an island in the Torentine where it pours into the Summer Sea. Starfall, which includes a tower called the Palestone Sword, guards the western arm of Dorne. Northeast of Starfall is High Hermitage, the seat of a Dayne cadet branch. 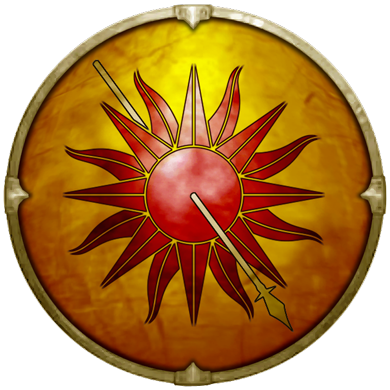 Sunspear: The capital of Dorne. Also known as the Old Palace, is the seat of House Nymeros Martell and the capital of Dorne. The castle is located on the fifth southmost peninsula of the Broken Arm, north of the Greenblood on the far southeastern coast of Westeros and is surrounded on three sides by the sea, and by the shadow city on the fourth side. Around 400 BC, the three Winding Walls were raised, running through the shadow city, forming a defensive curtain. Only the Threefold Gate provides a straight path to the Old Palace, allowing visitors to pass all three of the Winding Walls directly, without having to pass through the labyrinth of the shadow city. If need be, these gates can be heavily defended. Sunspear's Shadow City: The closest thing to a true city that the Dornishmen have, the shadow city is no more than a queer, dusty town. Built against a wall of Sunspear, the shadow city spreads westwards. Closest to Sunspear's walls, mud-brick shops, and windowless hovels can be found. Stables, inns, winesinks and pillow houses are found west of those, with walls of their own. More hovels have been build against those walls, which has led to the city becoming a labyrinth of narrow alleys, homes, and bazaars. The Tor: The seat of House Jordayne in Dorne. It is located on the southern shore of the Sea of Dorne, north of the Scourge. Wyl: The Wyls have long fought against the lords of the Dornish Marches to the north. The family has tunneled beneath Castle Wyl, to link caverns for greater defense. Yronwood: Located in the foothills of the Red Mountains, Yronwood is located along the Sea of Dorne near the mouth of a river whose source is to the west near Skyreach. The formidable castle sits at the southern end of the Boneway as a guardian against intruders. The land protected by the castle is fertile and forested, with deposits of iron, tin, and silver. Yronwood has clean and sweet mountain air, and the high meadows north of the castle have crisp air and cool nights. Dorne is the least populous of the Seven Kingdoms. Dornishmen differ both culturally and ethnically from other Westerosi due to the historical mass immigration of Rhoynish people and their relative isolation. Dornishmen have adopted many Rhoynish customs on top of their First Men and Andal origins. The bright sun and desert lifestyle mixed with the bloodlines of the Rhoyne gives most of the Dornes tanned complexions and dark hair and eyes. Fit and lithe with a sinewy serpentine quality to their physiques. Even for the most pampered of nobles, it is hard for them to get rotund. Their attire tends to show off their bodies, painted silks that are cropped, often times sleeveless and flowing loosely around them. Dornishmen have a reputation for hot-bloodedness and sexual licentiousness and are still viewed with some mistrust and rivalry by the people of the neighboring Dornish Marches and the Reach. The Dornish paint their silks instead of sewing coats of arms. Dorne contains septs for the Faith of the Seven and red temples for followers of R'hllor. Dornish bastards of noble origin are given the surname Sand. House Martell is the greatest house in Dorne, this ancient family rules the deserts and mountains and all its people. Prior to the arrival of the Rhoynar, Martell was one of many petty kings that had carved up Dorne, but with the added strength of ten thousand shiploads of people, including craftsmen, warriors, and more, Martell rose in power and esteem, joining with the warrior queen Nymeria to become rulers. The union of their peoples saw the Martells abandon many of their older customs in favor of those of the Rhoynar. Specifically, they began to call themselves princes instead of kings, and their lands and title passed down to the eldest child and not just the eldest male. Godsgrace castle is situated near where the rivers Scourge and Vaith meet. 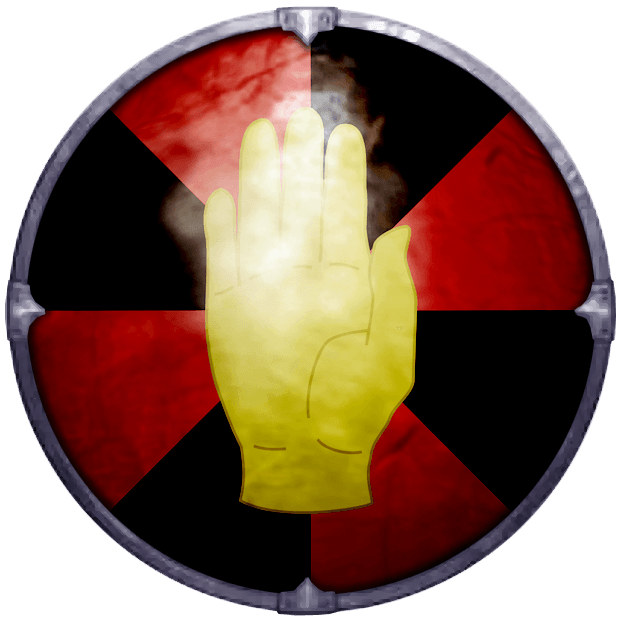 They blazon their shields with a golden hand on gyronny red and black. 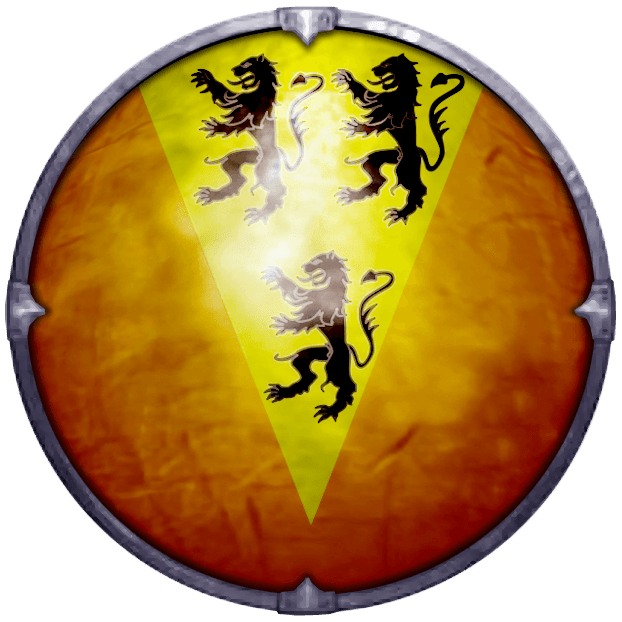 House Allyrion was founded by Andal adventurers houses who came to Dorne during the Andal invasion, along with House Uller, House Qorgyle, House Vaith, House Jordayne, House Santagar, and House Martell. The eponymous seat of House Blackmont sits near the point where the two rivers flowing south from the Dornish Marches meet to form the greater Torentine. 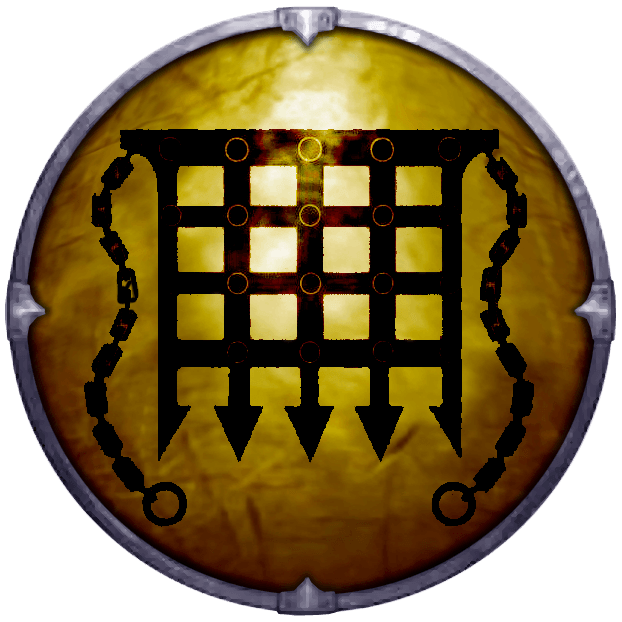 The Blackmonts have a history of being an unruly house, mounting endless raids into the Dornish Marches as well as attacks against their neighboring houses. They are considered one of the great houses of Dorne. 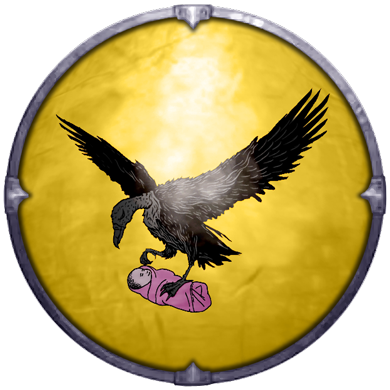 The blazon their shields with a black vulture with a pink infant in its claws on a yellow field. Many generations ago Lemonwood castle once belonged to one of the many now extinct houses that went out in a blaze of glory during the Andal Invasion. It was given to the Andal knight that held it without many soldiers to help him. This was, of course, Ser Dalt, and the castle has been kept by the Dalts ever since. Lemonwood castle lies just south of where the Greenblood River empties into the narrow sea. 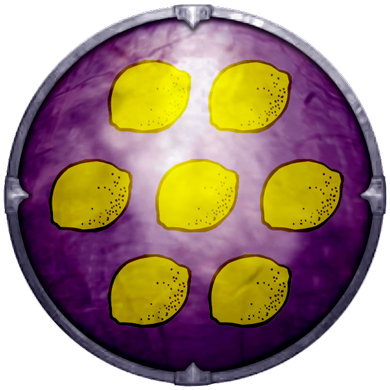 Their blazon is lemons strewn on purple. Of all the houses sworn to the Martells, few are as storied as the Dayne. 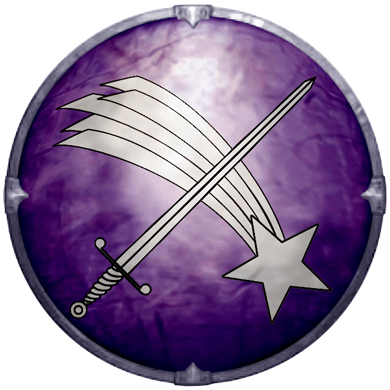 They blazon their shield with a white sword and falling star-crossed on lilac. 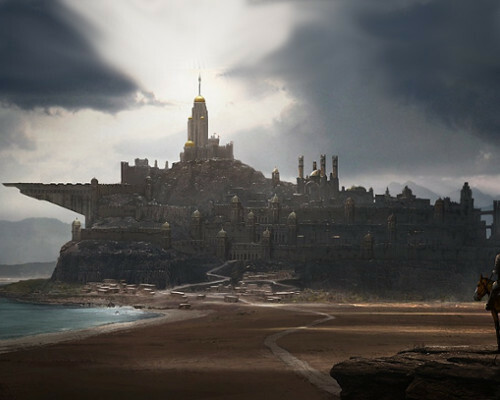 The seat of House Dayne is Starfall Castle, which lies on the Torentine where it pours into the Summer Sea. The cadet branch of the Dayne's reside in High Hermitage which is situated on the Torentine between Blackmont and Starfall. The Daynes possess Dawn, a greatsword as pale as milkglass that legend tells was forged from the heart of a fallen star thousands of years ago. Both blade and star are depicted on the house’s arms. Unlike other storied weapons, Dawn does not simply pass from one head of the house to the next. Instead, only those members of the family who have proven themselves worthy are permitted to wield the weapon. These men are known as Swords of the Morning. The Dayne's have the Valyrian coloring of pale silver-blonde hair and their dark blue eyes have strong indigo purple hues. They hold the title of "Warden of the Prince's Pass" and watch over the Prince's Pass. 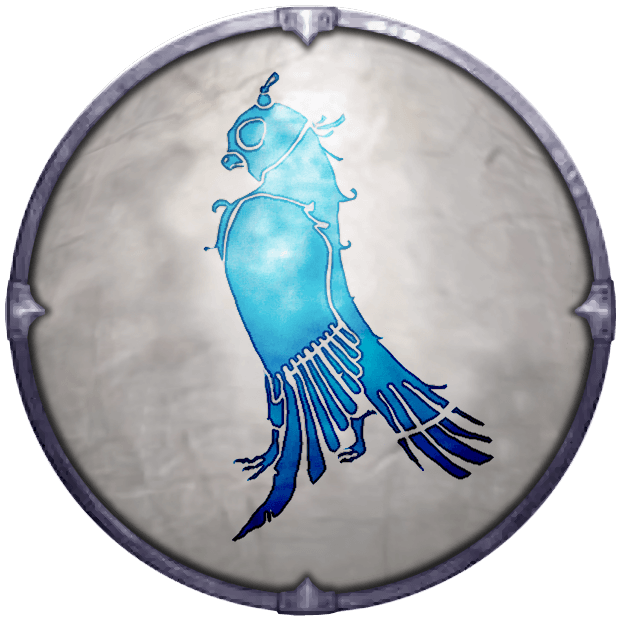 Their blazon is a hooded blue hawk on silver. The Fowlers were First Men kings who ruled from Skyreach, which guarded the Wide Way between Dorne and the Reach. They titled themselves Kings of Stone and Sky and Lords of the Wide Way. Along with the Daynes and Yronwoods, the Fowlers were among the most powerful of the Dornish kings. The Fowlers often warred with the marcher lords to their north. King Ferris Fowler led 10,000 Dornishmen through the Wide Way to the Kingdom of the Reach, but they were turned back by King Garth VII Gardener. Following the defeat of King Garrison Fowler, who was then exiled to the Night's Watch, the Fowlers sided with the Martells against the Yronwoods during Nymeria's War. Since then they have feuded with the Yronwoods, the Wardens of the Stoneway east of the Prince's Pass. In 10 AC during the First Dornish War, Lord Fowler led a Dornish host which burned Nightsong and took hostages from the marcher castle. The Targaryens retaliated by unleashing their dragons on Skyreach and other Dornish castles. Saltshore is located on the Summer Sea coastline almost due south from Godsgrace. Their blazon is a red cockatrice holding a black snake in its beak on gold. The Tor lies on the edge of the Sea of Dorne, where visitors can witness the tug of the surf as it endlessly braids itself into the strand. 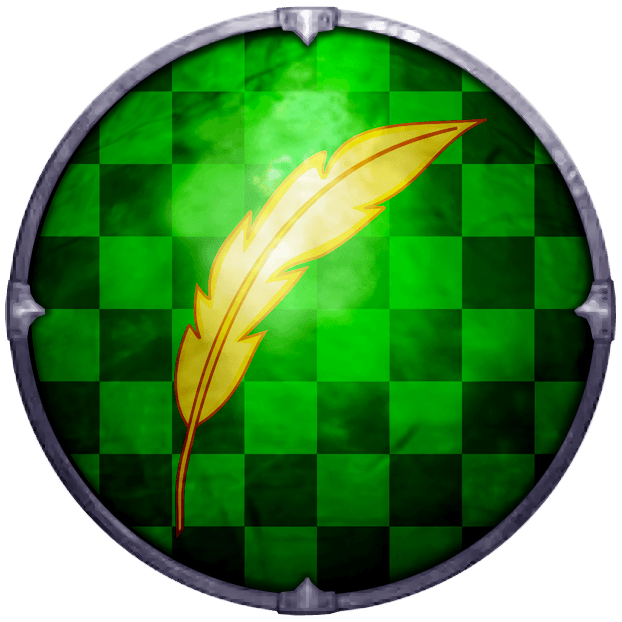 Their blazon is a golden quill on checkered dark and light green. They blazon their shield with a woman basking with a sun behind her. Vulture's Roost has suffered greatly in all the generations of raiding and its location makes it quite difficult to maintain and upkeep. The Lord Ladybright expects that they will have to petition for different lands or that he and his household will be homeless within the decade. 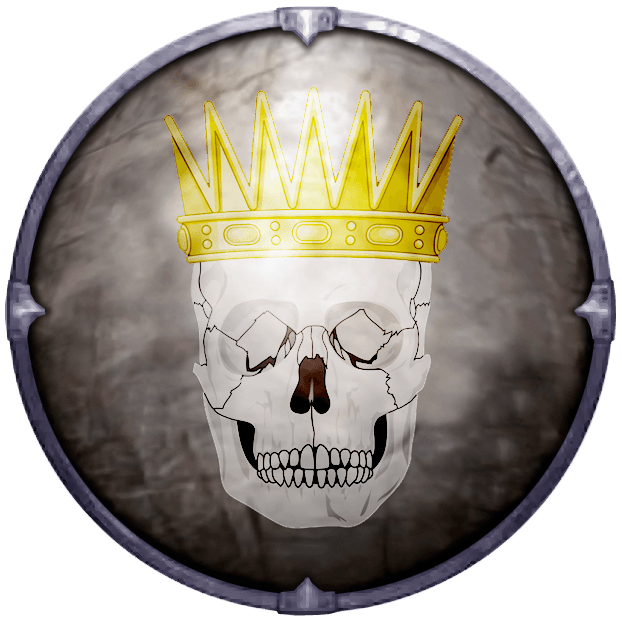 The seat of House Manwoody earned its name when the founding member of the house slew a King of the Reach in the distant past, a deed also commemorated on the family arms. Which is a white skull crowned with gold on black. The castle lies approximately halfway through the Prince’s Pass. Sandstone is located in the southwest portion of Dorne’s desert, not far from the mountains. 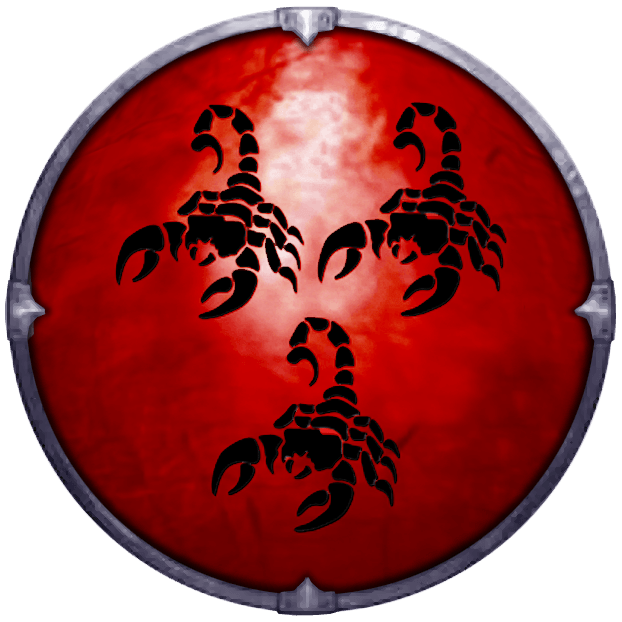 Their blazon is three black scorpions on red. The Andals who founded House Qorgyle built Sandstone when they fortified the only well around for fifty leagues in the deep dunes of Dorne. The Santagars were adventuring Andals who formed their own kingdom in Dorne during the Andal Invasion. 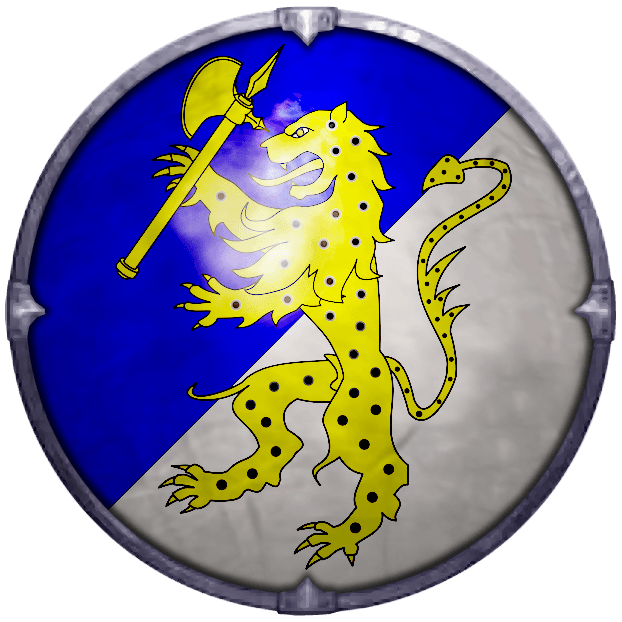 They blazon their shields with per bend sinister blue and white, a spotted leopard with a golden axe. Freckles are a common feature of those of the Santagar bloodline. Spottswood is situated in the base of the nook-like bay between the third and fourth peninsula of the Broken Arm, which is the four eastmost finger-like peninsulas that jut out of the east end of Dorne. 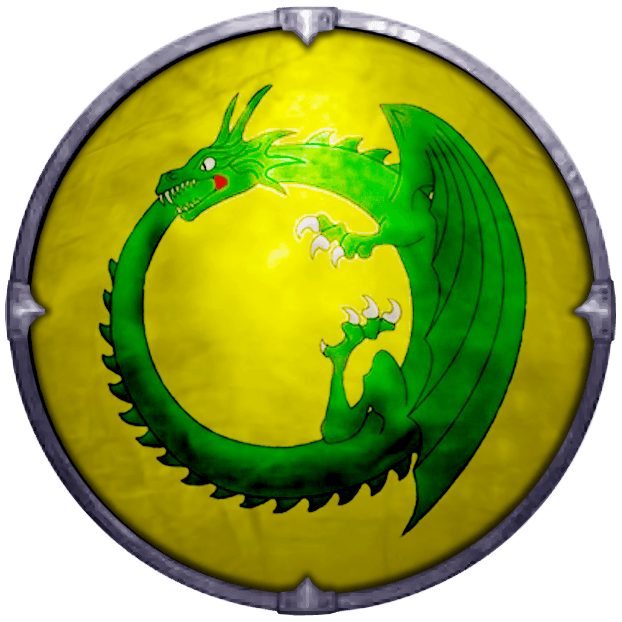 The Toland family blazons their shields with a green dragon biting its tail on gold. The dragon in the sigil is meant to signify that time is an everlasting cycle, with no end or beginning. Their castle resides in the northeastern section of Dorne, near the Broken Arm..
Hellholt Castle earned its name from a past incident when a set of unwelcome visitors were locked in the keep’s great hall and burned to death. Their arms were also inspired by this incident, with the yellow and crimson colors depicted rayonne to mimic the deadly flames. This may also be the reason behind the saying that “half the Ullers are halfmad, and the other half are worse.” Hellholt is located, aptly, near the source of the Brimstone River in Dorne’s desert region. Vaith castle sits near the source of the river of the same name. It's often called Red Dunes as well after the name of the surrounding lands. Their sigil is three black leopards standing on a yellow pile on orange. West of Vaith Castle are the deep sands of Dorne; the head of House Vaith has the title Lord of the Red Dunes. The Vaiths were adventuring Andals who settled in the hills east of the deep dunes and sands of Dorne. The nearby river soon took their name. During the War of Conquest, Queen Rhaenys Targaryen flew upon Meraxes to Vaith but found the castle abandoned. During the First Dornish War, Lord Harlen Tyrell and his army marched from the Hellholt to capture Vaith, but they disappeared in the sands. Their blazon is a white well gushing over with blue water on a yellow field. 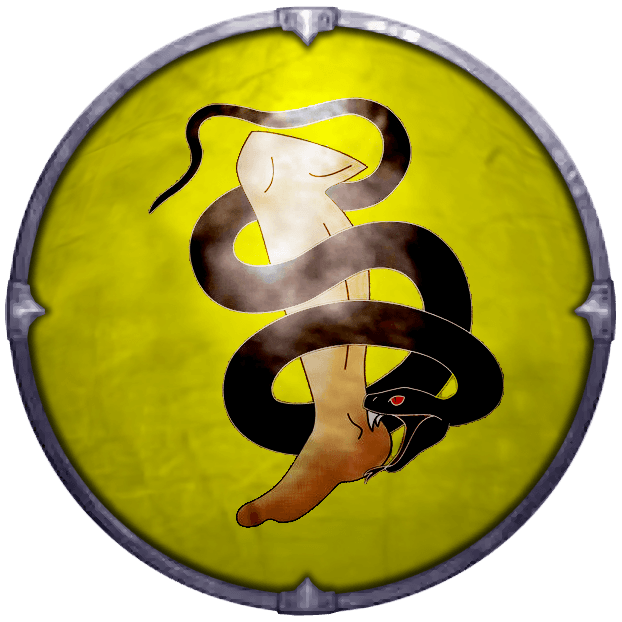 Their sigil is a black adder biting a heel on yellow. The Wyl stronghold, Boneway Castle, lies near the halfway point of the Boneway. The Yronwoods are one of the older houses in Dorne, having existed prior to Nymeria’s landing when they were minor kings in their own right. They fought against the Rhoynar and the houses that supported them, an effort that was ultimately unsuccessful. Because of this, in regard to the Martells, who fought with Nymeria to unite Dorne, have often found themselves on the opposite sides of a cause. 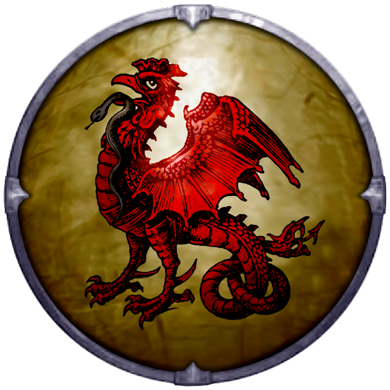 The Yronwoods also maintain a rivalry with House Fowler that extends back to the time of the Rhoynar conquest, when the Fowlers chose to support the Martells. The Lord of Yronwood is known as the Bloodroyal (most likely a reference to the house’s heritage prior to Nymeria’s landing) and the Warden of the Stone Way. 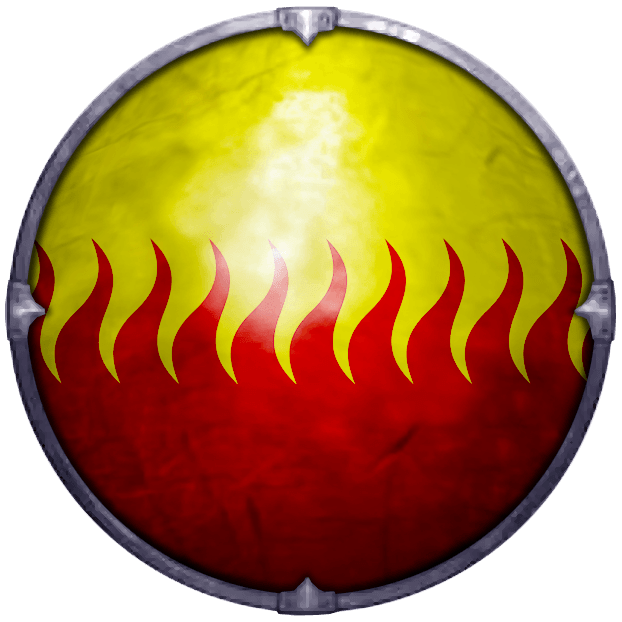 The latter title refers to the Yronwood’s duty to protect Dorne from invaders traveling down the Boneway, a responsibility the house is uniquely qualified to fulfill since Yronwood Castle sits at the southern end of that route. The fertile vicinity of Yronwood is forested and contains iron, tin, and silver. There is a trait of a lazy eye that reveals itself now and then in the Yronwood bloodline.